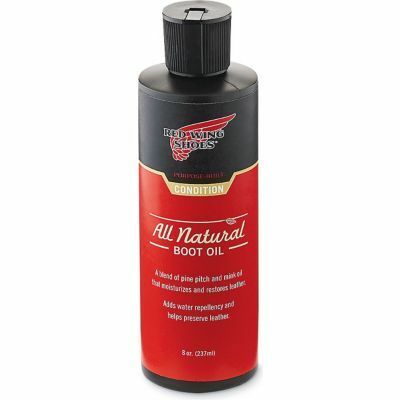 All natural ingredients of pine pitch and mink oil are combined in various formulations to make this water-repellent conditioner. The pine pitch adds the natural aroma of freshly cut pine, and has been used on leathers for centuries by Native Americans. This product contains no silicone or petroleum ingredients.